3 Happy Chess Girls Trivia Photo: Identify them and Their Country! Hello chess friends, a little flashback just to 2013 at the women's team chess championship in Astana. Can you name these three happy chess girls and their country? 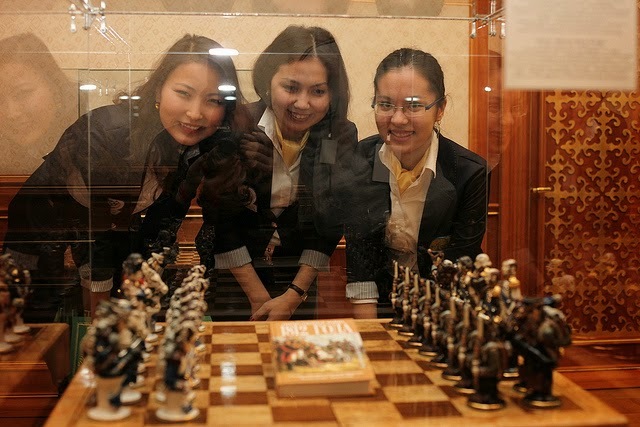 The photo is via the official FIDE website for the event.